TB: I am pleased to be joined by Australian Crime Fiction writer Carole Sutton. Welcome, Carole. You’ve had interesting journeys throughout your life; besides growing up in Britain and moving to Australia, can you please share with us the beginning of your writing career? When and why did you decide to start writing? CS: Thank you for the welcome, Terre, it’s good to be here. To answer your question: Back in the 60s, when my children were toddlers, I scribbled out bedtime stories to read to them. Later, I transferred these inky, handwritten pages into marginally more legible typed sheets. It was around this time I made my first efforts in writing a novel. I cringe now every time I think of it. At that time I had no concept about editing and assumed that when you arrived at The End that was it, finished. Boy, have I learned a lot since then! Needless to say, I binned my first attempt. My next major decision to try writing again was when I retired from working in the family business. I took a creative writing course at our local TAFE College in 1995. TB: Now, as a professional writer, do you have a core philosophy as to why you write; and if so, can you please describe it? CS: It started as a ruse to empty my head of useless thoughts and to curb a riotous imagination. For instance, family not arriving home on time would have me imagining the police car turning up at the house, officers walking to the door about to give the death knock. I’d think about what they’d say, what I’d do, how would I react, how to tell the kids and so on. Once I started writing, all those useless thoughts were re-directed into positive musings of character building, scene setting and plots for stories to come. TB: What life experiences have best prepared you for being a writer? CS: That’s a hard one. The fact that I am happy in my own company might qualify. Writing tends to be a lonely occupation. Training my first German shepherd dog gave me the necessary grounding of dog behaviour for my first published book, Gus, Sore Feet – No Collar. Without my hands-on experiences in sailing, I would never have been able to write Ferryman. So, I think all my life’s experiences creep in there somewhere and have a bearing on my writing. TB: Does that include your childhood experience of the Exeter Blitz, of 1942? CS: The memory itself is a very vivid one. I have never attempted to write about it, though. I was four years old at the time. I can still hear the wail of the siren. The aunties pulled me and my cousin (also four), out of bed. They dressed us in our pixie suits (called siren suits in those days) and rushed us downstairs to the basement, where we sheltered in an old empty wine cellar. The family huddled together, cousins, aunties and my uncle who was blind (from WW1). He was now a physiotherapist and had his treatment rooms attached to the back of the house. With one terrifying crash the house suffered a direct hit which set the treatment rooms on fire. We all had to run to the garage to get the car. It was full of glass, all its windows shattered. I know we went to stay with a friend, but I don’t remember any more about that night. I think it’s the lack of cogent memory that stops me writing about it. TB: How devastating for you. Thank you for sharing those memories. Being schooled in a convent, were you encouraged to explore your creativity, or did it grow from challenging conservative views? CS: The only encouragement I had in school to do with writing came from a lay teacher who taught English. She liked my compositions—they were usually about ponies—and mine were the most often read out to the class. She talked about setting up a school magazine and said I should write stories to go in it. However, it never came to fruition and nobody ever mentioned it again. 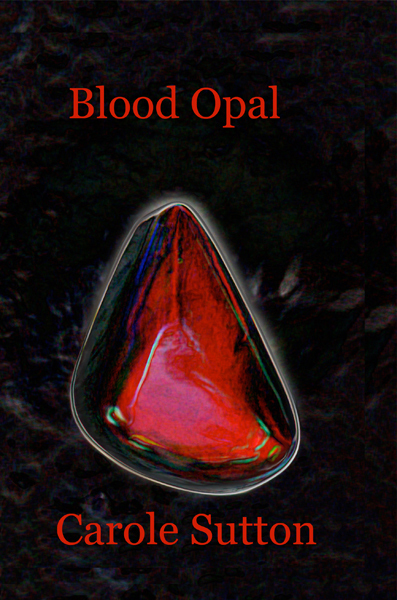 CS: My latest book, Blood Opal, published by New Generation Publishing came out in 2010 and is another crime fiction set in Devon and Cornwall. Again boats and sailing feature as my characters’ background. CS: The subject matter, I think. I love black opals and I love Australia, where this particular opal originated. Cornwall, where we lived for twenty years whilst bringing up the family, has so many memories for me. I enjoy writing about boats and sailing, country pubs, murder, mystery, Pug—a sassy young woman—and her dog. When I put them all together I came up with Blood Opal. For me the Cornish coast remains a great inspiration. It’s so dramatic, awe inspiring, and the years I spent with my family sailing those waters will remain with me forever. Cornwall. A calm sea on a windless day in Portscatho—a favourite place of ours. TB: Cornish history is charged with myths and legends, including those of King Arthur; is, or was, your writing influenced by this folklore? CS: No, not at all. I was never one for fairies, goblins and dragons, or the King Arthur stories. Strangely, I have become more interested in them lately whilst critiquing an author friend’s work. But I could never write it myself, I’m much too down to earth. CS: A bit disorganized, I’m afraid. I don’t start writing until I have a plot in mind and know how it starts and roughly how it’s going to end, though that tends to change as I progress. I set the plot up with a prologue to start with. If nothing else, that anchors me and gives me a flying start. I make a few notes on each chapter as I come to them on what I want to cover in that chapter so I can monitor how the story is moving forward. I am not a blank screen person – I can’t sit there and wait for the writing to appear. If the muse isn’t working I go off and do something boring, like housework, or ironing—tidying my office doesn’t seem to work! CS: None of my characters are based on any real person, but they do have to be realistic, and recognizably human, as I don’t write fantasy. The good characters have to have some flaws that make them human. And even the bad guy might have loved his mother or something else in his lifetime, so he can’t be all bad. I’m blessed (or cursed) with the devil’s advocate mind. It has caused me much trouble in discussions in the past, but now I find it helpful in giving depth to my characters because I can see both sides of just about any argument. CS: My current WIP is my fourth crime fiction novel. This is one I started several years ago before I got sidetracked into what is now known as And the Devil Laughed, (my second book). Recently I decided this old one was too good a story to leave in the cupboard forever, so I pulled it out. After some serious re-vamping, I’m off and running with it again. Titled Flash Harry, it is set in Australia and Bangkok, Thailand. The story is centered on a young woman’s hunt for her missing father. When she discovers what he did for a living, the hunt turns full circle, as she becomes the one pursued. CS: Not really. I prefer to stay on familiar ground—crime fiction is my preferred genre. I have tried other ones, for instance my first book Gus, published by Rawlhouse Publishing Pty. Ltd, was a tale about a dog being abandoned in the Australian bush. Not intentionally written for children, my traditional publisher described it as being suitable for ages 8 to 108! It was passed by the Dept. of Education and ended up on a library list for schools. I also have short stories published in various anthologies—one you can see on my website on the Fur page titled Not a Bad Bag of Bones. Written in the POV of my German shepherd, it is almost biographical. I have also written articles on wildlife around our garden and these were published by the glossy magazine, BirdKeeper, again, see samples and pictures on my web site under the Fin Fur and Feather pages. TB: You mentioned to me that you’ve fostered a number of animals. How did that come about? CS: I did occasional short-term fostering for the local dog’s home. Perhaps, more unusual would be the baby emu I fostered. Its parents and siblings had been killed in a dog attack. This one little chick, five days old, escaped from the carnage into a neighbouring property. I waded into the swampy ground, caught it, took it home and hand-reared it to adulthood. Lucky we called him. He followed me around the grounds like a dog, enjoyed his hugs and had races with my husband driving the ride-on mower. Lucky’s story can be seen on my website under Six Tiny Toes. On a smaller scale, we rescued a one-day-old wild duckling that had lost its parents. We found it late one afternoon wandering around a country crossroad, cold and distressed. We took it home and brought it up until it was ready to be returned to the wild. My shepherd loved Duck and watched over her like a babysitter. TB: Describe your ideal surroundings or conditions for writing. CS: Strange though it might seem, to create murder and mayhem, I need peace and quiet, no outstanding jobs to do. No computer troubles to trip me up, no music, no telephone, no interruptions asking, What’s for dinner tonight? Or, Where are we going to walk the dogs today? Rarely do I get that level of quiet—but that’s life. I’m not one of those that can shut the door against husband to say, I’m working, though I do understand why people do it! TB: Has living in Australia had any noticeable effect on your writing, compared to living in England? CS: A vast improvement I would say, but this is due to time and personal experiences more than a change of country. Once retired, circumstances made it possible for me to take my writing seriously, attend workshops and learn how to do the job. TB: Have you ever written from the deck of your sailboat? CS: Mainly technical stuff like filling in a log books and recording strengths of wind and tide, distance covered, places by-passed or visited and weather patterns etc. I still have the charts I used for some of our voyages with my pencil lines and workings out on them. The very first voyage I undertook with my husband-to-be was back in 1959, when we hired a 4 ton yacht called Daphne for a fortnight. I still have the diary I wrote in place of a log book, all very amateurish I must admit, but that was before I attended night school to learn navigation. CS: Not unless you count working in a writing group as co-authoring! After my creative writing course, I widened my experience and joined a business writing workshop. We started out with eighteen members under the auspices of a literary agent. At the end of that course, some of us asked our mentor if she could keep the sessions going, as a private arrangement, for those of us writing novels. She agreed, and WWW was born (Wednesday Writers’ Workshop). TB: Can you tell us a little more about your writing group? CS: Yes, we used to meet our mentor at her local pub every Wednesday. We’d sit around a long table in the dining room, (not used for meals on Wednesdays). A drink from the bar to oil the proceedings, then we’d read out a chapter from our novels while others listened and commented on it. Our new venue did have its amusing moments. Sometimes a few of the pub’s patrons sat too near to our table and could overhear the reader. That was okay by us, but could cause raised eyebrows if the material had hot scenes. It reduced the blushing reader to a whisper. Over the years the number attending gradually dwindled, until now, fourteen years later, our mentor has moved away and we are down to three members. We three are all now published authors. The other two have traditional publishers, while I went ahead with the indie option. We meet fortnightly in a member’s house to read our chapters aloud and discuss our ideas and generally edit each others work. It works well for us. CS: I went through the usual mill of rejections by the bucket-load which was very disheartening, especially as my first two novels had been short-listed in two prestigious competitions. At the time, I was heavily involved with YouWriteOn and sent samples of my first two books in for reviewing by my peers. Both samples gained enough kudos to qualify for professional critiques. But still the rejections came. Then YWO declared they would publish their members works themselves in POD form. I decided I’d had enough from the traditional publishers. At seventy years of age, I didn’t want to hang around many more years waiting for the miracle to happen. The result was Ferryman, published 2008, The Devil Laughed, 2009, and Blood Opal, 2010. As an indie writer, I don’t make much money from my books, and would never make a living out of it, but when I see the hoops my fellow writers have to go through with the traditional publishers, I am reasonably content with my lot. TB: Carole, thank you for sharing your professional and personal experiences. I wish you clear sailing in all your future endeavors. CS: Thank you Terre Britton for the opportunity to meet you all, I wish you well in your writing efforts. Although born in London in 1938, Carole was brought up by her Aunty May in Devon. Her earliest memory is the sound of bombs dropping during the Exeter blitz and the house on fire. After the war she remained with her aunt and enjoyed an idyllic childhood with a pony and other animals around her. Convent educated, she was a natural when it came to writing compositions. In 1960 she married Bill and they raised their family of three children in Cornwall. They built their own boats. 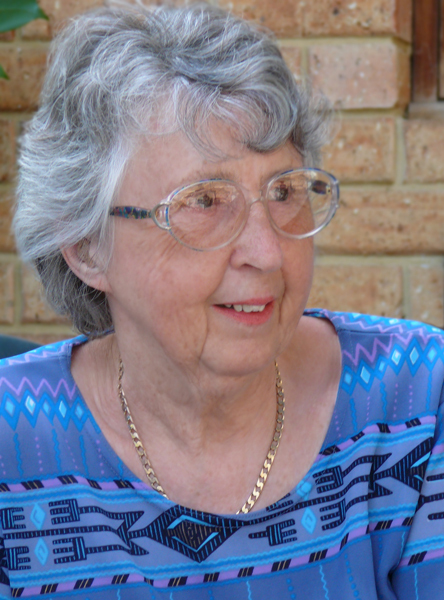 Carole went to night school to learn navigation and they enjoyed years of sailing the English Channel and the French coast before moving to Australia in 1981. There they set up a small retail business to employ the family. When, ten years later they retired, Carole at last had to time to learn and practice the craft of writing. Although she has short stories and wildlife articles to her name, Carole’s real passion is writing crime fiction. 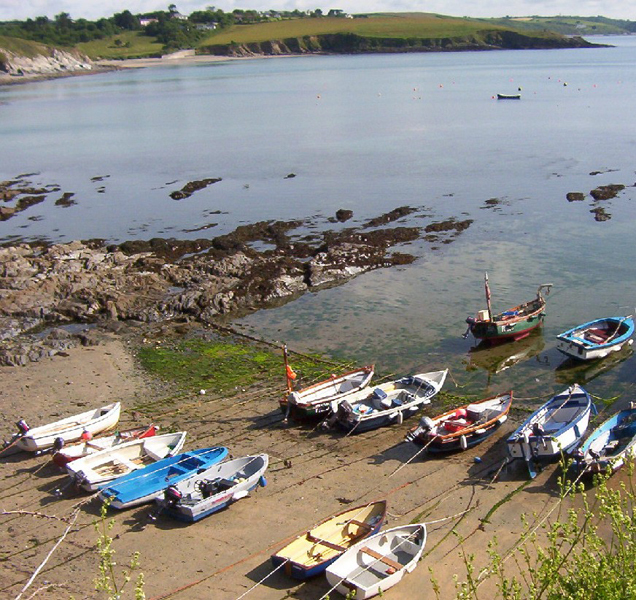 With her love of Cornwall unabated, she combines the two interests and sets her crime locations around boats and rivers.